This Valentine’s Day give a loved one something different from the usual flowers and chocolates. Klean Kanteen is perfect for busy city commuters, dedicated adventurers and those who wish to look after the environment. 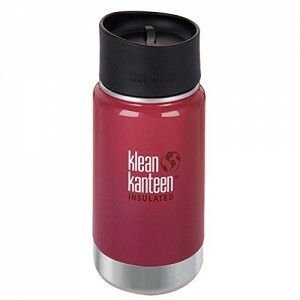 Klean Kanteen have designed stainless steel, BPA-free, insulated products with a Klean Coat finish that is chip-resistant. All their products come in a range of shapes and sizes to help you keep a variety of hot drinks hot and cold drinks cold. Klean Kanteen use double-wall vacuum insulation and innovative cap designs, so excellent thermal performance is achieved. This is all done with environmentally friendly and responsible materials. Another fantastic feature of Klean Kanteen is that the lids are interchangeable so you can easily transition from morning coffee to afternoon smoothies to water at the gym. This means you can buy fewer bottles. I have tried the Insulated Wide bottle and it is brilliant. I use this for my morning coffee and it has a leak proof Café Cap 2.0 so is easy to drink from and keeps liquids contained. This means it is ideal for me to use on my way to work. It also has Climate Lock™ double-wall vacuum insulation that keeps drinks hot for 8 hours and iced for 24 hours! The Insulated Wide bottles are available in 3 sizes; 355ml, 473ml and 592ml. They are also available in a variety of colours so you can choose the perfect colour and size for a loved one. The RRP start from £25.95. Klean Kanteen also have a range of other bottles, cups and canisters that are fabulous gifts. To see the full range visit www.kleankanteen.co.uk.